Comview Corporation, a leading provider of telecom expense management (TEM) and related software and services announced its upcoming live webinar for enterprises. 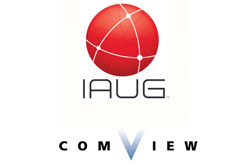 Presented in cooperation with IAUG (International Avaya Users Group), “Telecom Provisioning Then and Now – Improving Processes and Costs with Automation” will take place at 11:00 AM Eastern on June 7. Registration for the complimentary online event is now open. Provisioning and managing Fixed and Mobile Telecommunications services can eat up a lot of organizational time and budget. This live, educational webinar will explore how different automation processes and technologies can increase accuracy while reducing workload and expenses associated with telecom ordering. Where: Interested parties can register here for the complimentary webcast or at the IAUG website. Who: John Perri, Comview Founder and CEO; Shelly Amor, Comview Director of TEM Services, Comview; Phil Perri, Comview Manager of Wireless Services, Comview. Comview provides fully integrated Telecom Expense Management (TEM), Mobility Management and Call Accounting solutions backed by industry-leading customer service. The company’s cloud-based, unified software suite allows companies to easily manage all telecom expenses, usage and assets, throughout the communications lifecycle, from a single intuitive interface, including: Invoice Management, Wireless Management (with BYOD and MDM integration), Audit & Optimization, Call Accounting, IT Asset Management, Procurement and more. A managed service/BPO approach and “customer for life” philosophy provides customers with the highest level of service and support and sustainable ROI. For additional information, visit Comview at http://www.comviewcorp.com.